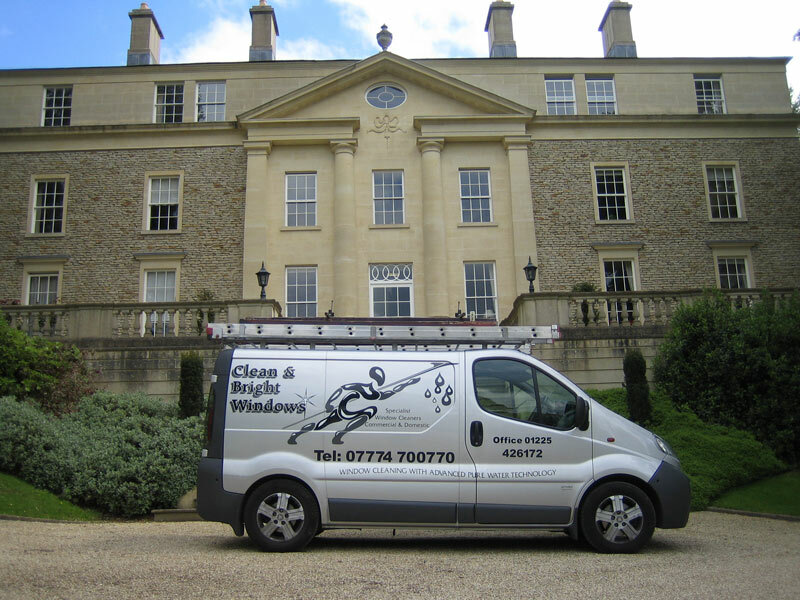 Clean and bright windows van parked in a stunning part of Bath – with lots of windows for us to clean. Call us today and get a quote from the best window cleaners in Bath. We are an established company with a solid track record and reputation for the best window cleaning service throughout the city of Bath. Our window cleaning team of experts have many years experience and we only use the very best tools to clean your windows, gutters, PVC, conservatories and much much more. Call us today on: 07774 700770 for a window cleaners quote in Bath!